for information on The Paperwork. If you have not received our email check your Spam Folder in your email system. have a PDF file attached with what we will need to approve your application. Conditions Notices are listed and detailed below. Reply to this email with what we have requested so we may process your application. If you would like to speak with us regarding your Conditions Email call 0800 74 11 11 - Ext 1. Note: We cannot use computer Screen Shots, Encrypted WinZip / WinRar files, or files that can be edited. The address where you live needs to be verified for lending requirements. If our systems cannot verify your name to your address we will require one of the following documents. One of the above needs to be current and issued within the last three months. It needs to show your name and address on the document. We cannot use computer screen shots or files that can be edited. Take a photo with your smart phone of the printed A4 page or you may use a PDF file if this document was emailed to you. A part of responsible lending requires that we do not over commit you to debt. We may ask for a bank statement for the following reasons. You have a limited credit history and income. You have existing loans where your debt to income ratio needs to be assessed. Your loan is for a large purchase that will require us to assess your sustained affordability for the payments. Your Bank Statement needs to be recent and includes two months of transactions. It will need to show your income and any payments for existing loans. We cannot use screen shots or files that can be edited. Take a photo with your smart phone of the printed A4 page or you may use a PDF file. Why we may require a deposit to meet lending criteria for your application to finance your purchase. You are aged between 18 to 25 years with no or little credit and or employment history. For large purchases of high risk products we may require a deposit if you do not meet criteria. To balance your current and new debt with your income as a deposit reduces your amount financed. We only need confirmation from you via email or phone that you are happy to pay the deposit and we will send out the paperwork for your purchase. You can make your purchase when you have your deposit ready as it is payable to your dealer and is best to contact them to arrange. We may ask for another person to support your application for the following reasons. 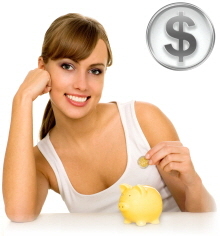 You are 18 to 29 years old and have no previous credit history with banks or other lenders. You are a new resident to New Zealand with no previous credit history with other lenders. You have made a business application and we require your business partner to apply. The person who will support your application can apply using the link below. E-Mail the above link to the person who will help you and include your application number in the form. In general we may decline your application due to you not meeting the initial citizenship criteria listed on our application forms, or it may be due to your credit or payment history. We will check your credit and payment history with Centrix. You can use the following Centrix link to obtain a copy of your credit file. If you would like to speak with us regarding your Declined Notice call 0800 74 11 11 - Ext 2. You will be either picking up your purchase from the store, or you will require it to be couriered if you are out of town. Both options are detailed in the tabs below with the step by step process. Contact your store to confirm the price and availability of your purchase and arrange a time to complete your sale. Take with you two forms of identification as the sales person will need to I.D. you with the attached form. A sales person in store will help you with the paperwork and will take any required deposit. The store will send to us the Invoice and your completed paperwork for payment. Read and follow the instruction in the Paperwork Guide page of your contract attachment. Your Paperwork will include a ID Verification form to be completed by one of the Trusted Witness's listed below. NB : If our Email Server returns your email check that your email attachments do not exceed 20MB in total. Decided to change the retailer you will be purchasing from. Decided to upgrade your purchase and or deposit. Decided to downgrade your purchase. You can use the contract we have sent you as we will adjust your account to reflect your reduced Invoice amount. Fill in the details below to upgrade the purchase. NB : We will contact you via phone and or email to follow up on the Change Request. If we have included a Repayment Waiver Fee on your contract you will find it is generally included by our lending officers to protect the reliability of your repayments. It is voluntary and can be generally removed at your request. If you wish to have it removed from your contract please call and speak to a Lending Officer on 0800 74 11 11 - Ext 2. The last page of your contract will explain in detail how it works. The repayments for your purchase are not due to be set-up until you have received your welcome letter. notification to your dealer for your purchase. It will normally be sent to the address supplied on your application. If you have not received your welcome letter call accounts on 09 410 5554 - Ext 2.